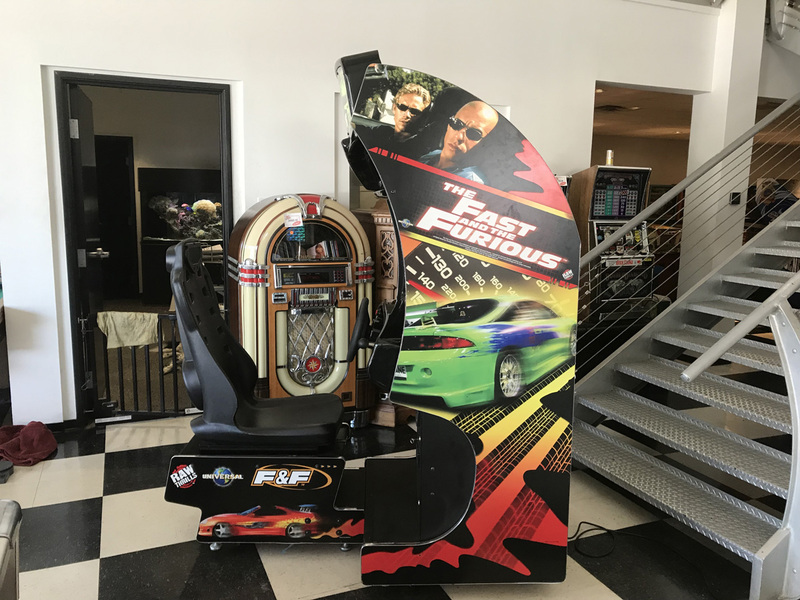 The Fast and the Furious Arcade Driving Game | Fun! 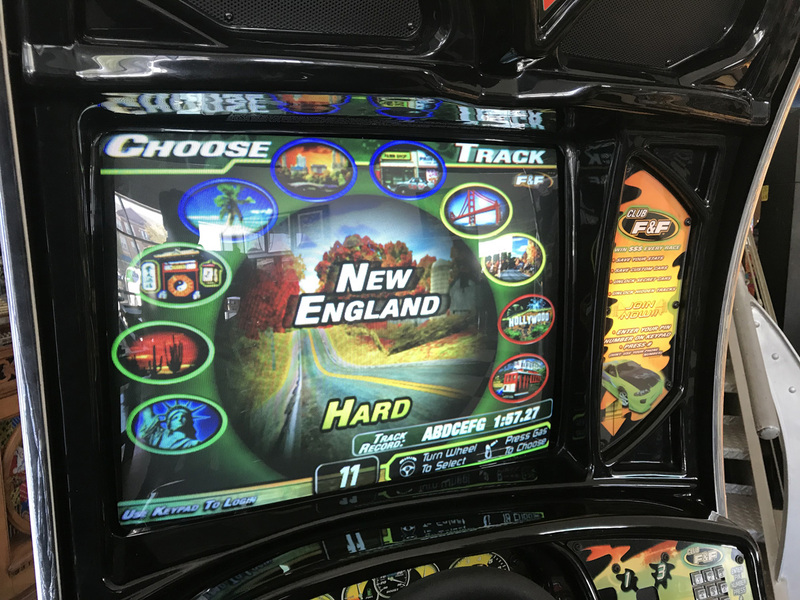 One of the best driving games of the 21st Century. 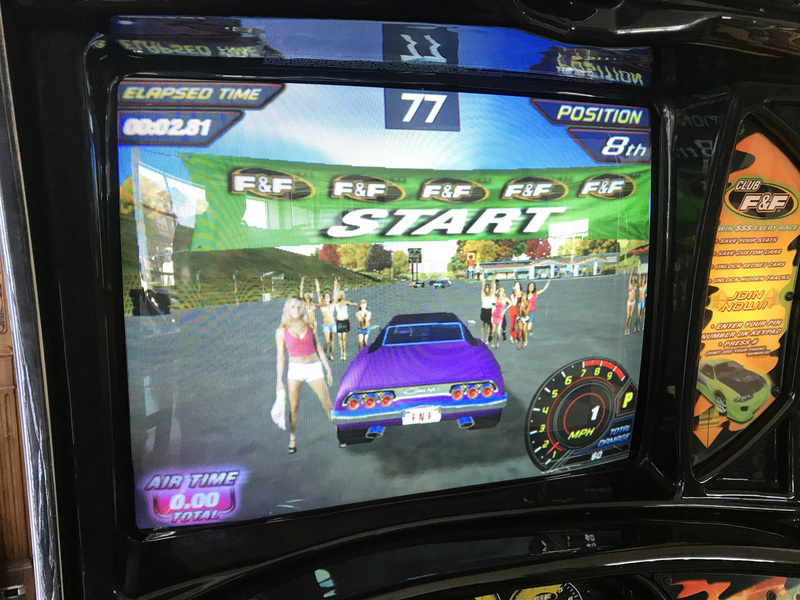 Fast and the Furious features 17 fully licensed exotic cars, and 12 tracks to race on, all in one hot looking cabinet. Choose between Automatic and Manual Transmission. 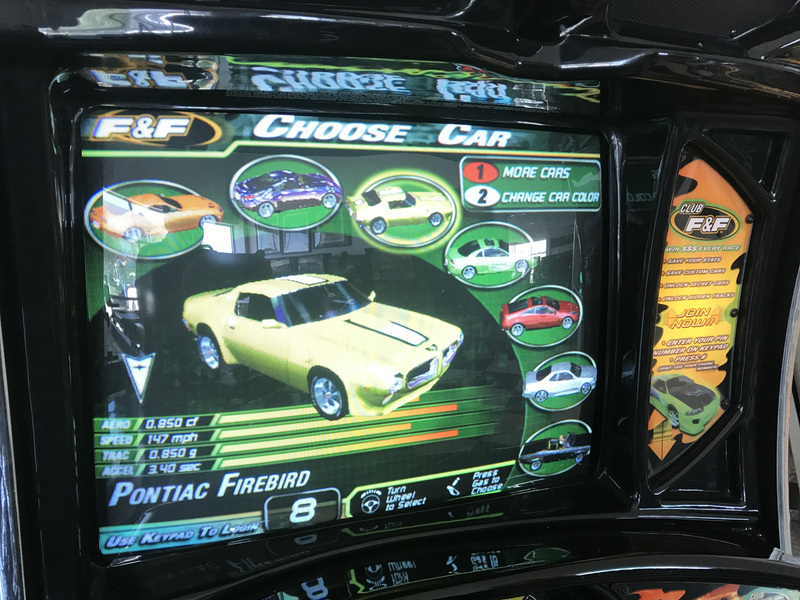 A cardless ID system lets players build their own custom car collection! 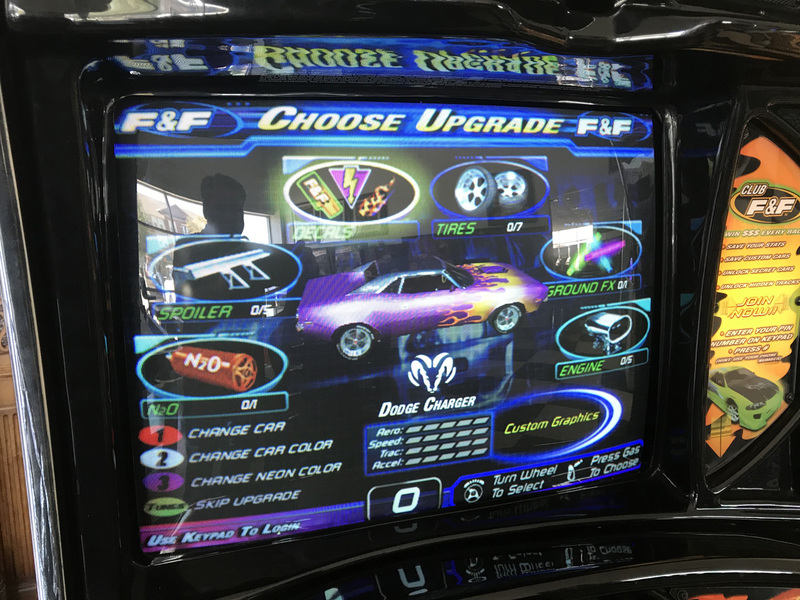 Players have the ability to upgrade their car by adding credits to mod their ride even faster. 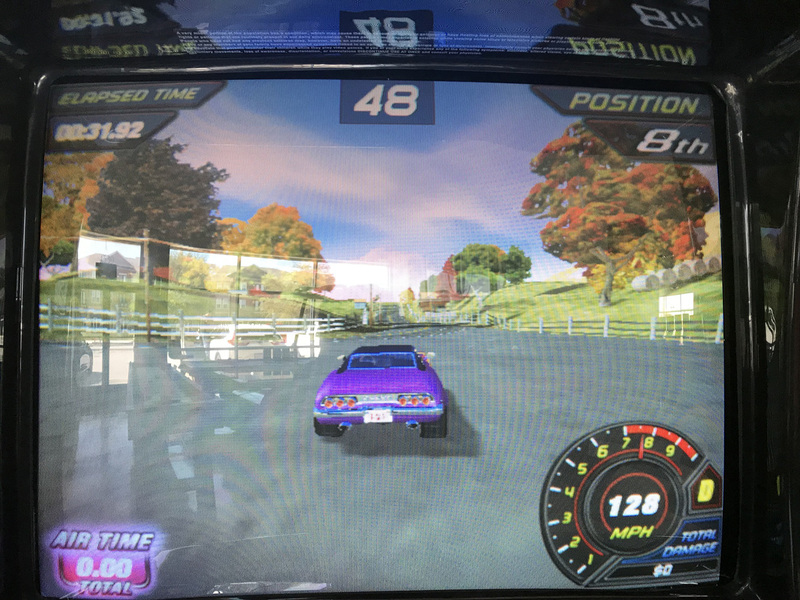 Players can save and view their cars and upgrades in an all new stats screen. Although only 1 unit is being offered in this listing, up to 4 cars can be linked together. 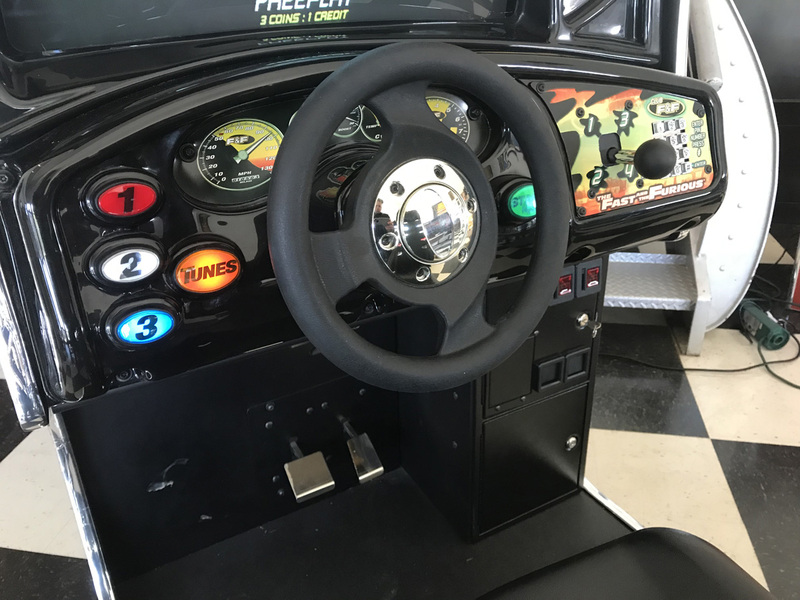 This late model driving game we picked up from a local home owner where it has spent its entire life. 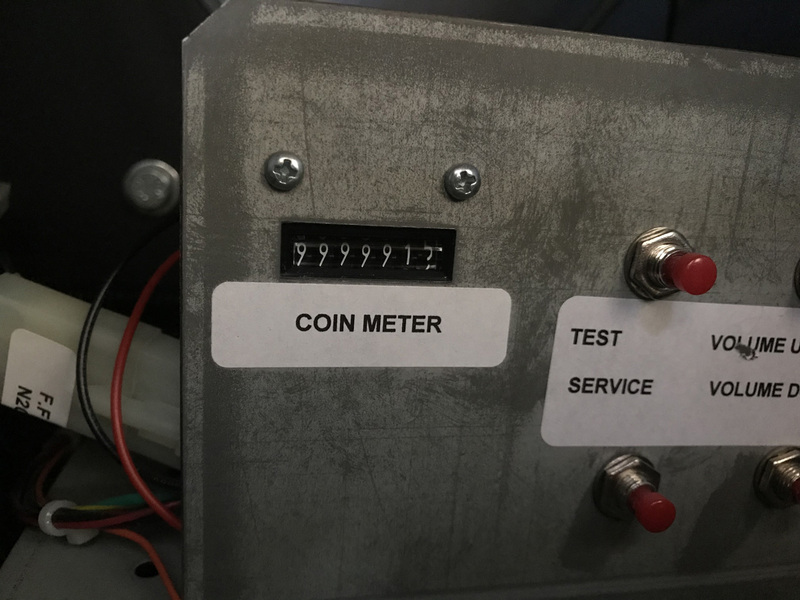 This is a one owner game that has never been operated commercially, which is proven by looking at the coin meter as well as goes to show from the remarkable condition that it is in. 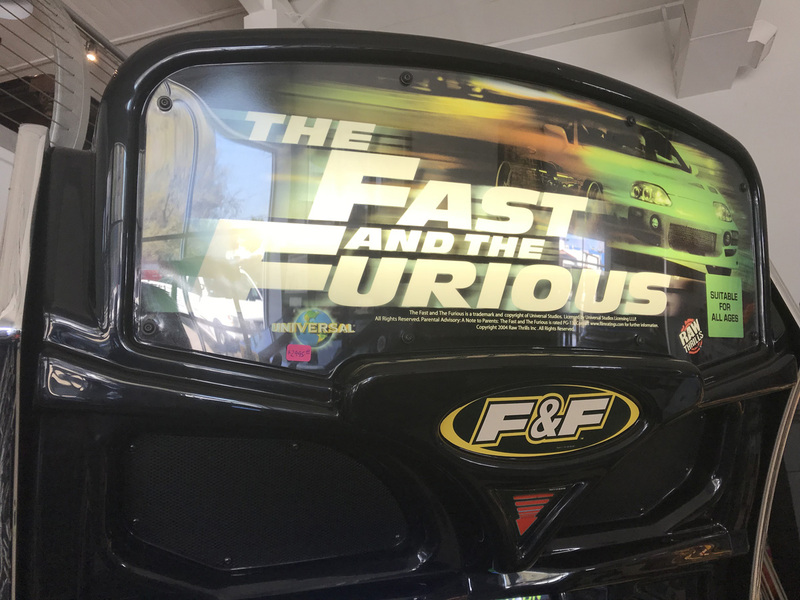 Please note there are a few scratches on the upper left side of the cabinet decal from when the customer had this game delivered to the 2nd floor of their home. 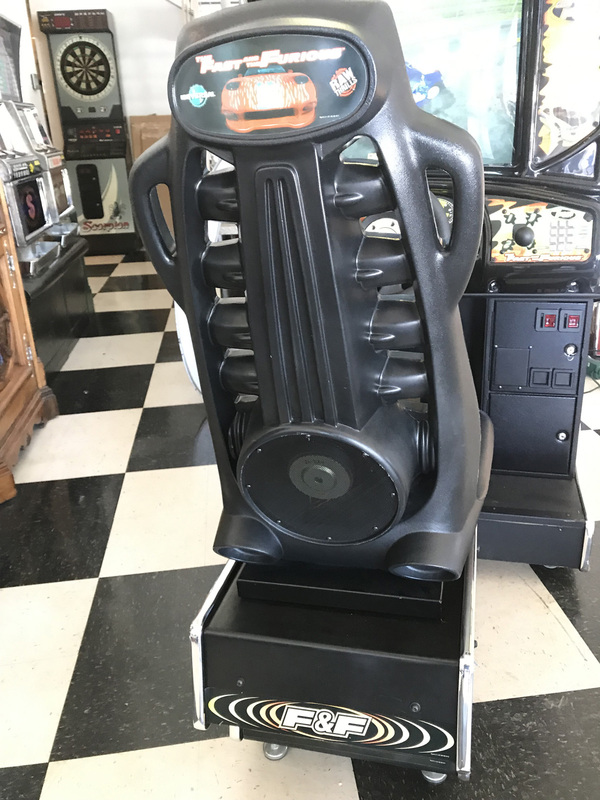 These are not that noticeable…but they are there and should be noted to the buyer as I feel this is the only cosmetic flaw to this game keeping me from stating the cabinet is in perfect condition. The 27″ HD monitor is bight and clear and looks great! 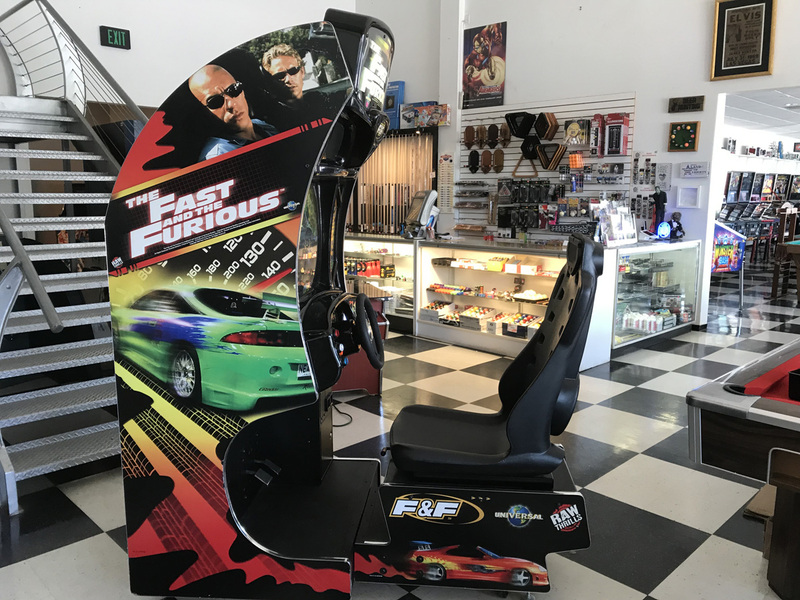 The Fast and the Furious Driving Arcade Game needs absolutely nothing and is ready to be enjoyed in your home or can be used commercially to earn revenue. 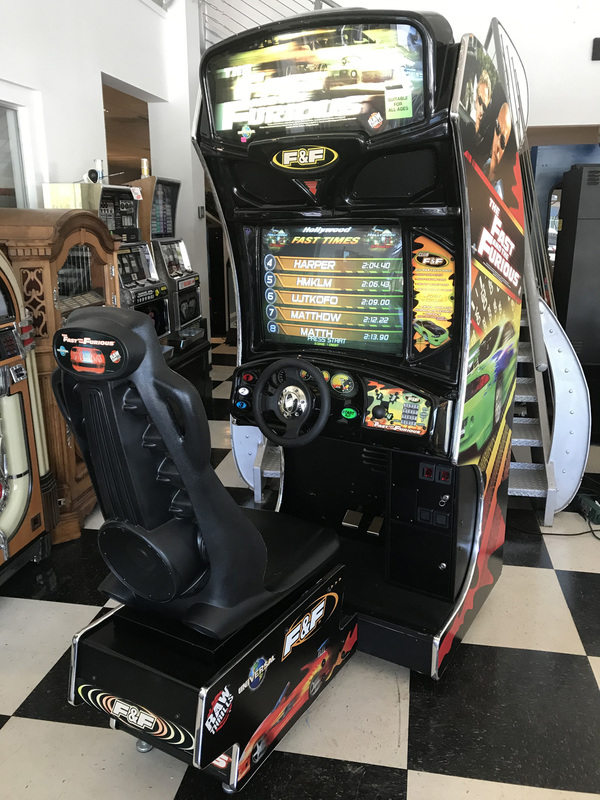 Fast and the Furious Arcade Driving game includes our 30 day warranty on the electronics.